Nantes has an extraordinary story of systematic urban development over three decates, explored within the REFILL Network. Here I give a short outlook on the main characteristic of Nantes success story. What would you expect to see on a post-industrial island which is centrally located in a growing city and is full with remnants of the once dominant ship industry …? Yes, right: large-scale demolition of industrial buildings, erection of luxurious waterfront housing projects, mixed with some office and educational developments. But things can be done differently as proved by the case of Ile de Nantes. In the ’deep-dive’ visit to the REFILL partner Nantes we have seen a quite extraordinary story of systematic urban development activity over almost three decades. 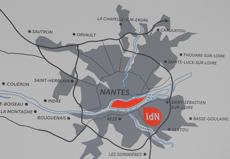 The centrally located Ile de Nantes was always in industrial use. Problems started – as in many European cities – in 1987 with the closure of the shipyard and the port areas. The island became inaccessible for people while private developers came up with a growing number of project ideas (to build new hotel, big international congress centre, luxurious waterfront housing...). However, in 1989 the newly elected mayor – Jean-Marc Ayrault, who stayed as mayor till 2014 – stopped all project planning and asked to rethink the island as the centre of the whole Nantes metropole. Following the idea that industrial heritage has to be kept, but used with new functions, in 2002 a public company (SAMOA) was created and started the project to build a large, moveable Elephant – offering an object what previous ship builders could work on. This created an incentive for Nantes people to come on weekends to the island, which was a no mans land earlier. Another public initiative was, in times when no one wanted to build on the island, to build up the Palais de Justice here. The area is over 80 hectars, and the city authority has the right of first refusal over the whole area. Samoa can thus buy land, rezone and resell it with a fixed project idea and pre-determined conditions. 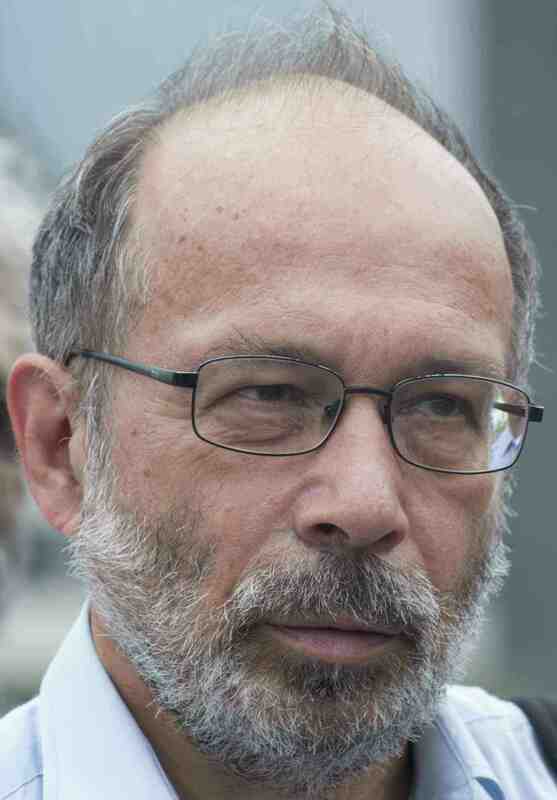 In that way the model can be understood as a public sector led real estate development strategy with value-increase taxation – where the main goal is to upgrade the island along public interests. The following two photos show a building, which was owned in 1989 by a private company, used as warehouse; later as go-kart racing circuit. It was cheap to buy it, as it was surrounded by industrial wasteland. This is a very valuable area of the Ile de Nantes, being centrally located and having a nice view. In a normal market process this would have already been built in, as most waterfront areas of other cities. Nantes makes it differently: instead of starting here a quick and final redevelopment, this will be the final area to be rebuilt. The Industrial Hall here has been kept and transitory uses have been installed. 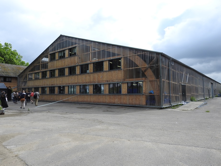 In the first hall small 12, 24, 36 square meter cheap rental places were created for innovative creative and cultural companies while the next building has places for the social and solidarity companies, a third one for media companies... The place was opened in 2012 and the first use was meant for 12 years. This is also part of the tempered urban planning: it needs time to find out what should be the next use. SAMOA offers recently temporary use office spaces to 180 small companies. There is a waiting list, thus the project is successful. The Nantes approach (described here in an illustrated way) is based on stable political leadership and institutional background, created for the purpose. This gives enough time to understand the ‘feeling’ of the island, developing strategic ideas, avoiding ‘tabula rasa’ developments according to the demand of the given moment. The agreement in the basic principles, however, does not exclude to change orientation time to time. In the first few years, it was important to change the image of the place, in a second phase, to connect and develop some areas, recently the focus was set on answering the challenges of the innovation economy. Accordingly, the newest idea is to develop an innovative district with larger parks along the rivers. An important aspect of this approach is the strategic role of temporary use agreements. The city recognized that empty buildings in public ownership are essential to keep the momentum for creativity. 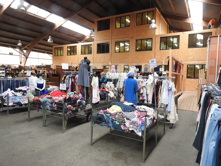 SAMOA is recently buying derelict property on the island, not for demolition but to be able to offer empty spaces for new innovative companies. Not all cities have such unique places as Ile de Nantes and even less are able to create such stable political leadership and institutional background for strategic development over decades. Even so, the example of Nantes shows how important it is to strive for long-term thinking, with the necessary flexibility, to achieve strategic goals in the interest of the public.